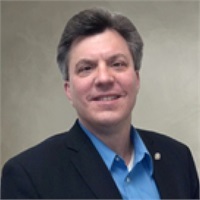 Mr. Linden is a lifelong resident of Northeast Ohio and began his career shortly after graduating from Kent State University in 1988, with degrees in Business Management and English. Austin entered into the financial services industry with a desire to make a difference in people's lives and help them achieve their financial goals. He now provides comprehensive financial planning assistance to over 250 families and small business owners across the county. Austin is dedicated to helping individuals maximize, enjoy, and protect their wealth. Austin is an active member of The Rotary Club of Cleveland, having served as a Club Trustee, from 1997-2000, as Chair of the Youth Service Committee, from 2003 to the present and is currently serving as Treasurer for the Richfield Chamber of Comerce. Austin and his family enjoy traveling, biking, hiking, and fitness. Austin has also earned both the Chartered Life Underwriter® (CLU®) and Chartered Financial Consultant® (ChFC®) designations. He is a CERTIFIED FINANCIAL PLANNERTM (CFP®) practitioner. Austin is licensed to sell life and health insurance as well as annuities in several states including the State of Ohio, and is a Registered Representative (Series 7) through Cetera Advisor Networks LLC, a broker/dealer, and a registered investment adviser. He is also an Investment Adviser Representative of Financial Management Strategies, Inc., a registered investment adviser.